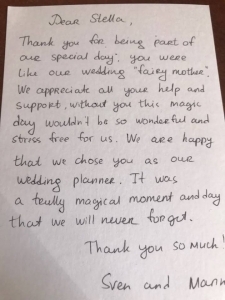 The biggest thank you from our heart to Stella Virdi for making our big day as perfect as it was. 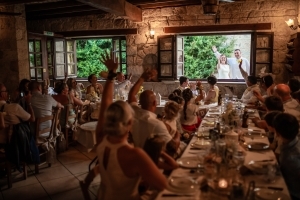 Having to arrange our wedding very quickly and express last minute wedding, we still wanted to make it feel special- having chosen to do it in Cyprus as an intimate ceremony. 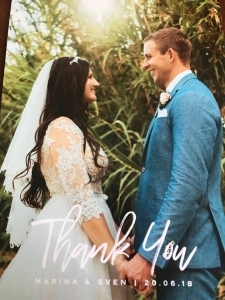 Stella was absolutely wonderful from the start and can honestly say we would not have been able to get everything done and formalities so quickly and easily as we did. We literally flew in the day before the ceremony and received all paperwork including special additional stamps (apostilles and foreign ministry stamps) by the afternoon after the wedding. 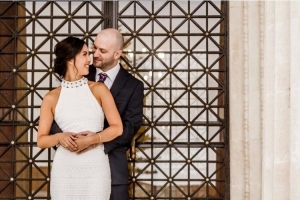 She was always responsive and definitely knew her way around the process aspects and helped us arrange a beautiful and intimate ceremony, including a great photographer and hair / makeup artist with ease. Big thank you Stella, Dimitri the photographer, Maria and Sarah (hair and make-up) for making our day wonderful and memorable!